Dr. Norman Blumenthal, a renowned trauma specialist, practices as a licensed clinical psychologist in Cedarhurst, NY. Dr. Blumenthal is the former Director of Bereavement and Crisis Intervention Services for Chai Lifeline as well as Educational Director of Kollel Elyon and Semicha Honors Program at the Rabbi Isaac Elchanan Theological Seminary of Yeshiva University. 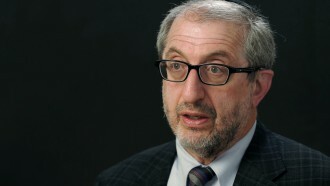 As a current Board member of NEFESH (The International Network of Orthodox Mental Health Professionals), Dr. Blumenthal serves as the Coordinator of Group Psychotherapy Training for Interns and Residents at the North Shore Long Island Jewish Health System and is a consultant to TOVA - a mentoring program for disenfranchised teens.